Nothing is absolute, only gradient indicators. Consider, for example, a triumvirate of admired traits. A mark of genius is an ability to explain complex matters with intuitive simplicity. A symbol of leadership is integrity in the face of deceit and undue influence, despite its consequences. And a signal of courage is fearlessly combating a formidable adversary in pursuit of a worthy cause. So in the context of the narrative that follows, how would YOU assess my measuring up as the protagonist grappling with MorganStanleyGate? MorganStanleyGate is mountain of fraud overlooking a lake of lies, whose peak has risen with continuous dumpings of “manure”, manifested in reviling varieties of: distortion; aspersion; inaccuracy; fabrication; slander, etc. Personally, I have never encountered so many bold-faced liars. For example, to gauge the level of Bull $#!+ spewed, a “Manure Meter” (below) was employed in the analysis of 65 slanderous articles to not only separate fact from fiction, but measure the level of Bull $#!+ involved. And the daunting level of fraud in this scandal has brought the worst out in many and attracts some of the more insidious representatives of humanity in a coordinated series of atrocities sponsored by Morgan Stanley. Unbeknownst to me, I would become the target of its wrath, for having created a unique investment security (IQ®, which is discussed in the next section) on behalf of this bank, spawning a franchise worth $250 million at inception and considerably more thereafter. Quite the paradox, wouldn’t you say? Had “too big to fail” Morgan Stanley not been bailed out with $107 billion in tax payer monies it would CEASE TO EXIST today. And this bailout was ILLEGAL, because only $10 billion was approved for Morgan Stanley by Congress from the aggregate $700 billion TARP bailout. 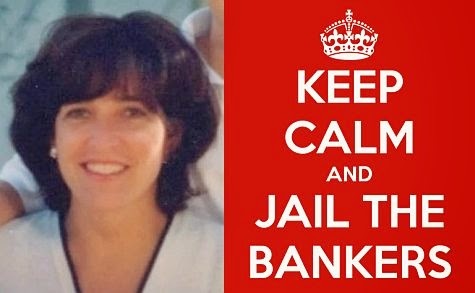 Did you know this was the largest bailout of ANY bank EVER? Of course you didn't -- this was suppressed until it was too late to do anything about it. And even then, only the bravest of media outlets reported this CRIME. 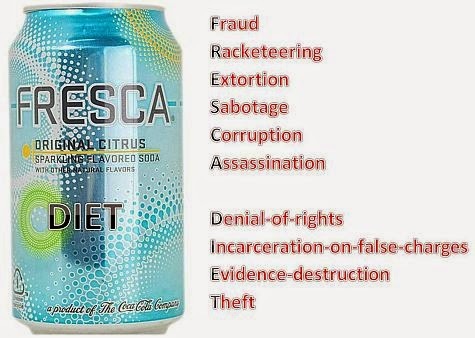 Moreover, if you learned Morgan Stanley engages in crimes so extensive, a mnemonic device (FRESCA, the DIET beverage) is necessary to remember them all, as a taxpayer, you might be dismayed (or perhaps enraged) to realize YOU effectively subsidized a criminal operation. But who am I to make such a damning indictment? I am a widowed Ivy-League educated father of three adult sons, whom I love dearly. Despite juggling a busy career in investment banking and corporate finance, and commitments undertaken as the local Commissioner of Basketball (in Manhasset, NY), I coached every one of my son’s sports teams (e.g., baseball, basketball, lacrosse) during their formative years, instilling in them values that have served them well. Notably, Michael, Kevin and Ryan Young are “one of the most accomplished groups of brothers in NCAA sports history”. How so? In Men’s Lacrosse they collectively played in: EIGHT NCAA Final Four Championships; Won SIX ACC Championships; and captured ONE NCAA National Title. In addition, Michael and Kevin Young were All-ACC scholar-athletes at Duke and Ryan Young was an All-American and team captain at Maryland. Ryan also led Team USA to the Gold Medal in the 2008 World Games. And yet one element of MorganStanleyGate is the preposterous attempt to depict me as a “deadbeat father” in a paternity fraud emanating from a rural county in Kansas, where I have never stepped foot! For more on this, including national TV commentary on the virtues I had instilled in my sons, click here. 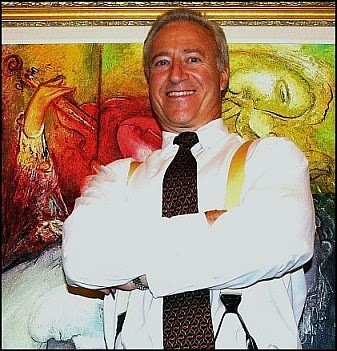 Following a corporate finance career spanning nearly two decades at then-industry leaders Arthur Andersen (Auditing) Dun & Bradstreet (Business Information) and Citicorp Real Estate (Commercial Lending), I was an investment banking executive for nearly a decade at the sibling spinoffs of the "House of Morgan" – in other words, a 3 year tenure at JPMorgan, followed by 6 years at Morgan Stanley. At JPMorgan (prior to its merger with Chase Bank), I founded its Commercial Mortgage Backed Securities ("CMBS") business, established the most impressive strategic alliances in the industry and ran its CMBS conduit, which was ranked #2 in related industry league tables when I left as its Chief Operating Officer. As Executive Director at Morgan Stanley, I restructured and ran its CMBS conduit, increasing its business FIVEFOLD, played a key role in its #1 industry ranking in CMBS, and created an enormously successful proprietary brand of CMBS, the IQ® ("Institutional Quality") Brand. The franchises I founded or restructured at JPMorgan and Morgan Stanley are today worth $ billions. Instead of being justly rewarded for a most productive year, Morgan Stanley diabolically sought to destroy my life, family and career with an audacious employment fraud and ensuing smear campaign in November 2002. Those who instigated this assault, were motivated by unbridled greed and unsurprisingly later played leading roles in causing The Great Recession, including a staggering loss of over $100 billion in subprime mortgage trading, sending Morgan Stanley into a financial tailspin. This would have surely resulted in Morgan Stanley’s demise had it not received the $107 billion bailout. Their names are John Westfield, Tony Tufariello and Warren Friend – and were each fired as a result. This opening salvo of employment fraud in 2002 and ensuing career destruction was then followed by more than a decade of criminal assaults sponsored by Morgan Stanley in order to cover-up its ever-mounting crimes. These transgressions dwarfed their initial misdeeds, much like in the infamous Watergate scandal, so for this and other reasons, the scandal was aptly coined “MorganStanleyGate”. I am unaware of ANYONE ELSE who has been subjected to such a devastating onslaught, and denied legal redress and justice in EVERY case. This is due to stifling level of corruption sponsored by Morgan Stanley throughout this ordeal, so my response to this has been modified accordingly (see below). The forthcoming publication of Cannibals In White Shoes: The MorganStanleyGate Exposé reveals all this and so very much more in what is truly a remarkable story of how a Wall St. firm eats its own . . . and others. Moreover, I am reaching out to a diverse network of sympathetic activist organizations whose mission and purpose coincide with the changes I wish to initiate. I am also seeking sponsorship from select individuals whose philanthropic interests align with my objectives, and whose aggregate net worth surpasses many countries. This is important, as they are necessarily immune to Morgan Stanley’s notorious economically-based bullying tactics and associated fear-mongering. Additionally, I’m employing an empirically proven social networking model developed by a post-doctoral research team for large-scale problem-solving, as MorganStanleyGate is a most befitting problem to solve. I want something good to be borne from this horrific nightmare which no American should ever endure. So in addition to restitution and reuniting what remains of my now dysfunctional family, I will use my regained net worth and other funds from punitive damages emanating from claims of $2.5 billion+ to foster meaningful change. Thus, those victimized by banking abuse (e.g., foreclosure fraud), judicial corruption and police brutality will finally have a voice and the resources with which to amplify it. Those receiving this transmittal on “The Plight of MorganStanleyGate” will ultimately determine whether I possess the requisite genius, leadership and courage to resolve MorganStanleyGate and implement MEANINGFUL change – for it is only with their support that this can be accomplished.